The memory is faded, but I still remember. Those seven o'clock nights of my growing up years sitting around the dinner table on occasion, when everyone was home from basketball practice and student council meetings. There were a lot of things my Dad handled like a champ - but spilling milk at the dinner table was not one of them. Now that I am a mother to five trying to get dinner on my table, I get it. A flood of milk dripping through the cracks of the table on to the floor (we had carpet under my childhood table) was not a peaceful way to ease into the evening! My sister and I were sent to our rooms a few times while every towel in the house was gathered to soak up the mess. I remember thinking, "This is not a big deal. There are worse things than spilled milk. I won't get this upset when I have kids." Ha. Ha. If I had carpet under my table - I would not be a fun person to eat dinner with - period. While the event itself really isn't a big deal...the way we choose to handle the disruption is right? 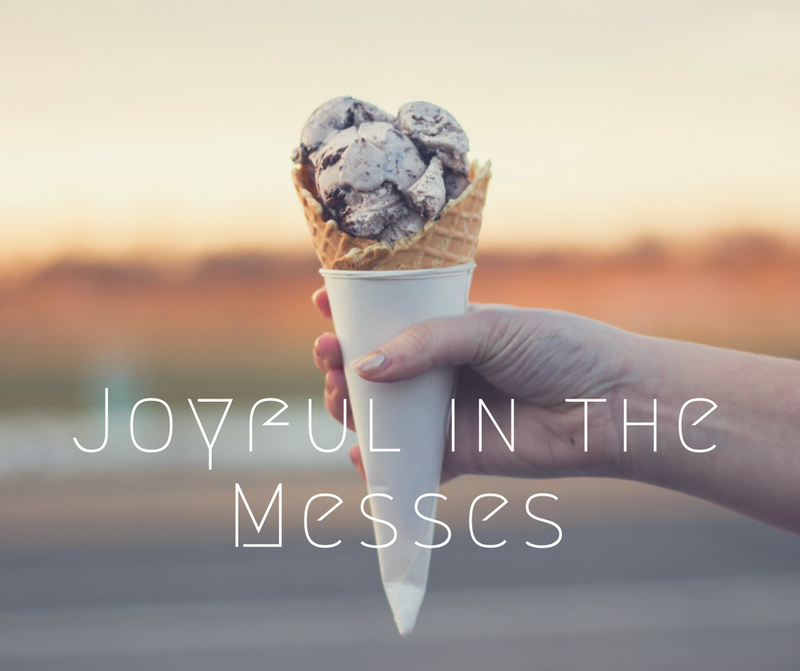 Finding joy in the middle of a mess is not for the faint of heart. It takes skill, patience, and even a little pre-prayer to make sure we don't go into over-reaction mode. Just this week, my 2-year-old decided that time-out on his little boat bed was the perfect time to shake out an entire bottle of baby powder. He came out to tell on himself, "Momma - I made a BIG mess...". Why yes he did. Mercy Jesus - I am waving the white flag of surrender! In that moment, the siblings were dying of laughter because his little nose was white, his short little legs were ghostly, and there was a fresh smelling cloud billowing out of his bedroom door. I had to present some form of semi-serious tone because, "please lets not make this a regular activity" - but it was so funny! Our joy is dependant on how we see the messes of life whether they are little or large. and we are all capable of responding in all three of these ways right? Well, there was also that time when our Dad spilled HIS milk at the table and we sat there and held our breath - and then burst into hysterical laughter and sent our Dad to his room! Spilling milk is minimal compared to the messes in relationships, the mess of unplanned medical bills, unexpected home or car repairs, the mess of parenting, or the messes of poor health. 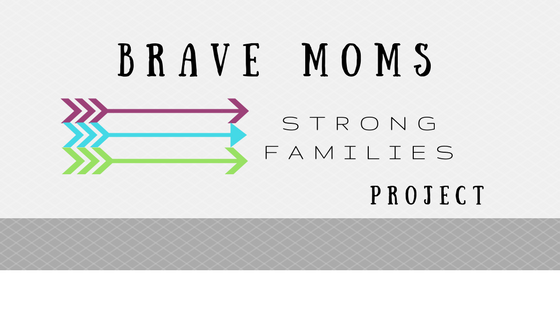 I'm not sure why - or how God built this into my heart, but I've always measured the mess according to its actual stress load. I tend to not sweat the small stuff, and super over-react to the biggies. Honestly...waterfalls of spilled milk or dust clouds of baby powder really don't bring about a happy and grateful heart. Neither does broken friendship, marriage struggles, or difficult children. There is absolutely a time for sadness, frustration, and heart-break. It's not all butterflies and unicorns - I know. But the small-scale messes really don't have to send our smile on a n extended vacay. We hold the potential to find joy even in the piles of toys and emptied out drawers of perfectly folded laundry. Having a heart of compassion and grace in those high intensity mess moments is something we receive from the heart of God - who makes it possible to see life through His lens of value and grace. I surely don't have what it takes to keep it chill and full of smiles on a regular basis. I need major help. MAJOR. I'm not sure what or where your messes are this week. Can we offer value and grace to those who make life messy? Value. The word that says we have immeasurable worth - despite our shortcomings. Grace. The word that we all desire from others in our life - and yet are slow to offer it to the rest of the mistake - making world. Maybe you are in the thick of parenting and playing and picking up all day. You might be living in such a hard - messy place that joy is nowhere to be found. Keep an eye out for things that are from God - for you. Keep a list! It helps to see that there is joy happening in the midst of the mess. Lists of things that bring us joy don't remove the pain, or the frustration - but they do help us to realign our heart of gratitude with the God. Take some deep breaths this weekend as we encounter messy homes, messy kids, messy relationships, and messy SELVES. *Make a Joy list of 10 things that bring you joy! It can be as simple or as deep as you wish. Joy is a choice and sometimes we have to dig deep beneath the surface to live joyful lives right? !